A week and a few days ago, at Seattle’s University District Market, I kept seeing bins and baskets brimming with brown, bumpy things. Some signs said sunchokes. Some said jerusalem artichokes. I had to know more. It was true, I discovered, upon buying a bagful and returning home to research recipes. You can boil them, mash them, steam them, and roast them. And thank heavens, you don’t have to peel them. Peeling them would be aggravating. 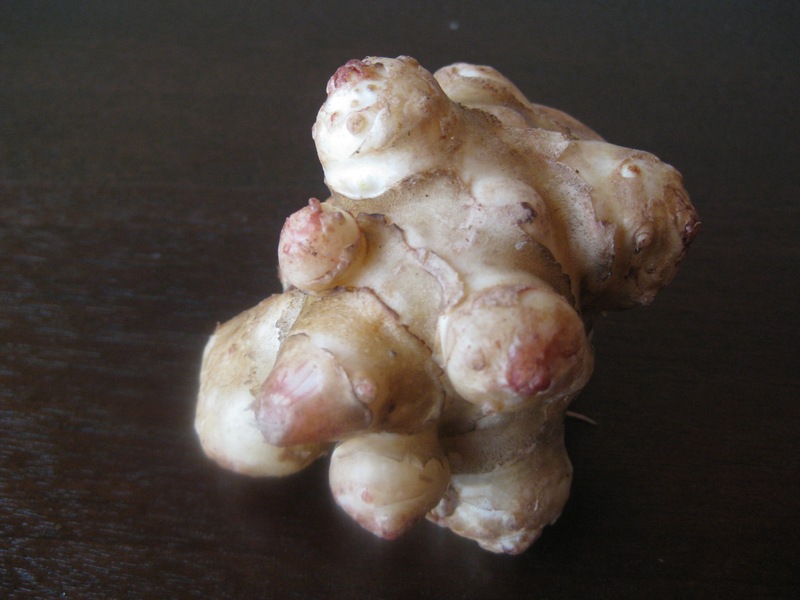 So what is a sunchoke? According to Wikipedia, a sunchoke, or jerusalem artichoke, is the tuber of a species of sunflower. 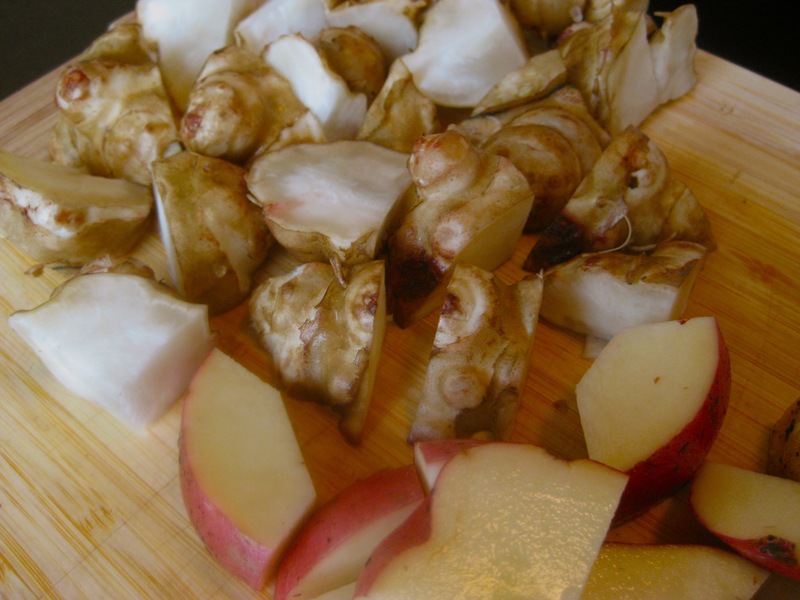 Sunchokes have been cultivated by Native Americans since before European arrival and are easy to grow. They also offer lots of iron and potassium and have a similar texture to potatoes. Did you say potatoes, Wikipedia? I love potatoes! So I roasted my sunchokes with potatoes. If these are at your local market, I strongly suggest giving them a try! They are crisper and nuttier than potatoes, and definitely add something new to the table! 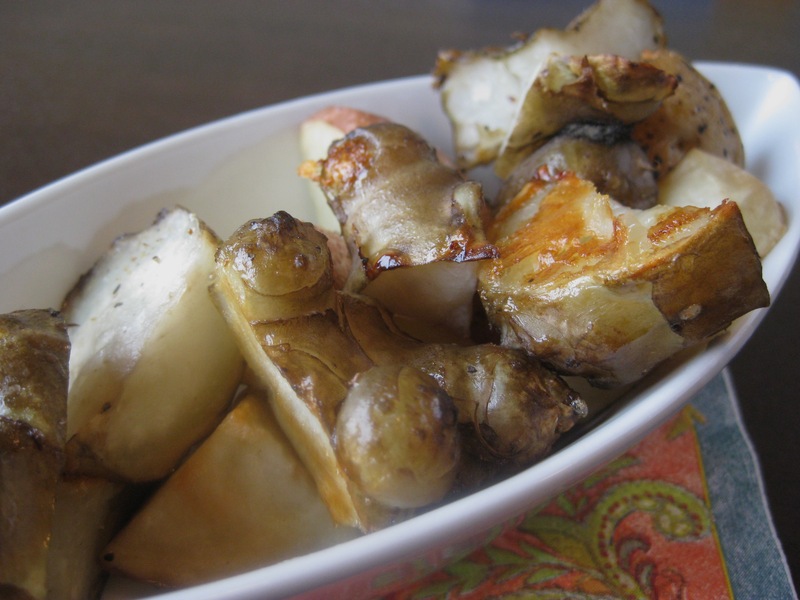 This entry was posted in In the Kitchen (recipes & more) and tagged farmer's market, jerusalem artichokes, Lisa Wheeler, potatoes, Real Time Farms, seattle, sunchokes, tuber. Bookmark the permalink.